A border wall offends our core American values – freedom, equality, justice and the preservation of our natural heritage. For wildlife in the borderlands, a wall would set back decades of conservation success in the region. We are the guardians of these imperiled animals and at Defenders we are fighting to make sure they have a voice and can continue to recover and prosper in our country. The illicit and secretive actions by the current administration would have disastrous consequences for wildlife. PLEASE TAKE ACTION: Tell CPB and the administration that you oppose any border wall construction that would destroy vital wildlife habitat on our national wildlife refuges and public lands. The Trump administration pushes forward with plan to wall off wildlife. While the president continues his bombastic border wall talk and the administration and Congress argue over funding for this monstrosity, construction equipment is already moving in, land is being cleared and people and wildlife are being displaced in the borderlands of California and Texas. The Department of Homeland Security (DHS) has already waived a host of environmental and other laws in order to expand the border wall along a 15-mile stretch of the U.S.-Mexico border near San Diego, California. Defenders, along with a coalition of national conservation groups, sued to stop this unlawful overreach of the authority provided by Congress in the Real ID Act of 2005. Similarly, in Texas the U.S. Army Corps of Engineers and U.S. Customs and Border Protection (CBP) have started clearing land, taking soil samples and conducting tests in areas where they plan to build new border wall – often without even notifying the landowners or the public of their actions. This was the case when the managers of the National Butterfly Center in Mission, Texas, discovered industrial mowers stripping vegetation from their land and imperiling more than 200 species of butterflies. Now, CBP is trying to conceal efforts to build a 60-mile extension through the area that includes two national wildlife refuges and important habitat for the endangered ocelot and jaguarundi. In a letter recently sent to a select group of stakeholders earlier this month, CBP requested comments on the proposed construction of 60 miles of border wall that would cut through parts of the Santa Ana National Wildlife Refuge, the Lower Rio Grande Valley National Wildlife Refuge, the National Butterfly Center and the Bentsen-Rio Grande Valley State Park. The letter appears to be a dubious ploy to claim that the agency is fulfilling its obligation to “seek public comment,” while not actually making the public aware of their plans. Perhaps even they realize what a terrible idea it is to construct a barrier through these sensitive habitats and critical wildlife corridors that support countless species of wildlife, including more than 500 species of birds, 300 butterfly species and 1,200 plant species. Few places in the Western Hemisphere exhibit such a diversity of flora and fauna as the lower Rio Grande Valley in south Texas, home to the Santa Ana National Wildlife Refuge. While small in size, the Santa Ana Refuge contains an abundance of neotropical songbirds, raptors, mammals and reptiles, including the nine-banded armadillo, Texas tortoise, Mexican free-tailed bat. It is also home to more than 400 bird species, more than 300 species of butterflies –half of all butterfly species found in North America – and more than 450 varieties of plants. 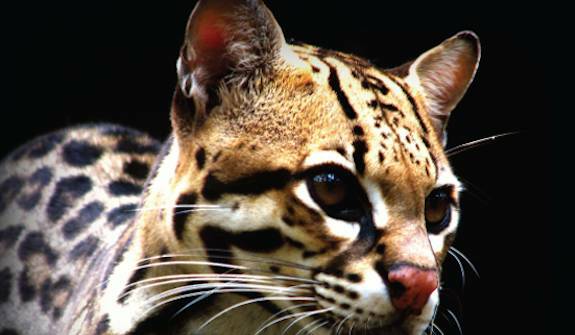 The refuge also provides habitat for at least eight species protected under the Endangered Species Act, including the highly-imperiled ocelot and jaguarundi. With fewer than 50 left in the United States, the refuge is essential to ocelot recovery. 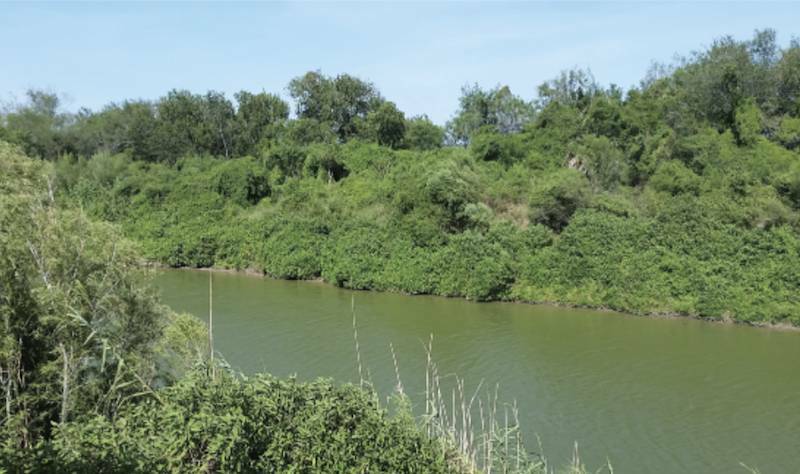 Comprising several units along the Rio Grande, the Lower Rio Grande Valley National Wildlife Refuge helps protect a crucial link between coastal and river wildlife corridors. The various refuge units are located at the nexus of four climate zones – tropical, temperate, coastal and desert – and at the confluence of the Mississippi and Central flyways, making the region one of the most diverse conservation areas in North America. The Lower Rio Grande Valley is home to more than 700 vertebrate species, 300 species of butterfly and at least 18 threatened or endangered species, including the highly-endangered ocelot and jaguarundi. The Lower Rio Grande Valley refuge complex conserves Mid-Delta Thorn Forest, a rare forest type that provides habitat for an array of small mammals and birds and serves as a key hunting ground for the ocelot. As the thorn forest has continued to diminish over the years, ocelots have been forced to cross open fields and been exposed to more dangers from vehicular traffic and predators. Further degradation of this crucial habitat from wall construction could prove devastating to the dwindling U.S. population of ocelots. The construction of an impenetrable wall through these refuges would fragment riparian habitats, block migration corridors for rare migratory birds and imperiled species, degrade and destroy habitat, and disrupt nesting, breeding and foraging by countless birds and other wildlife. Levee walls, which are proposed for at least 28 miles along this route, can trap wildlife and drown animals during severe flooding events. Both refuges serve as important migration corridors for animals like the ocelot and jaguarundi, who travel back and forth from Mexico to the U.S. These rare cats would be cut off from crucial habitat affecting their dispersal and their potential to establish new resident populations in the U.S. The noise from increased vehicle traffic and lighting along the border wall could also greatly impair these animals’ ability to hunt and alter the behavior of their prey.